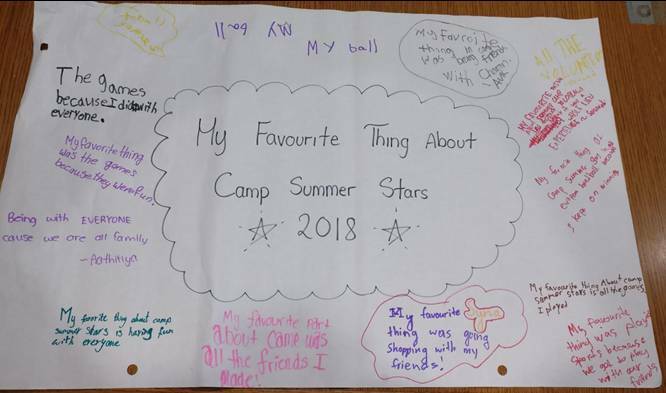 Camp Summer Stars 2018 was a fantastic success once again! 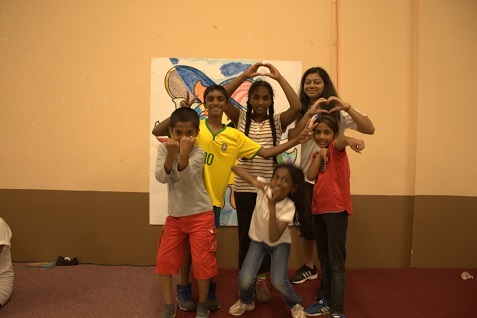 After taking feedback from previous co-coordinators as well as from the parent community at the Sathya Sai School, Camp Summer Stars decided to try out a slightly different format this year. In an attempt to make summer planning a little more convenient for parents, we expanded the scope of our camp to be four days long rather than the two day format done previously. The program ran from Monday, July 30th until Thursday, August 2nd, leading into the Civic Holiday Long Weekend. The youth facilitators and high school volunteers planned several fun and exciting activities for the children with a focus on team building, co-operation, global citizenship and good sportsmanship. There was lots of laughter, lots of ideas shared, and a great deal of learning that happened for everyone involved. We even went on a field trip to Loblaws, where we met with a dietician who planned a fantastic scavenger hunt around the grocery store for our Summer Stars! She noted that we were amongst the very best group she’s ever worked with! Our trip was a real adventure for many campers since this was the first time they travelled on the TTC! On the whole, our four day camp received an overwhelmingly positive response from the participants, facilitators and families alike. The most meaningful feedback we received came from a group of participants who said that they learned about “a whole new way of practicing human values” in their day to day lives. We look forward to next year’s camp. See you there! In 2019 several Dynamic Parenting workshops will be conducted throughout the country. As a pilot project, we will be conducting the first batch of workshops for inmates in GTA starting on 25th January, 2019. On 27th January, we would be starting another batch of workshops in York Centre, Toronto. 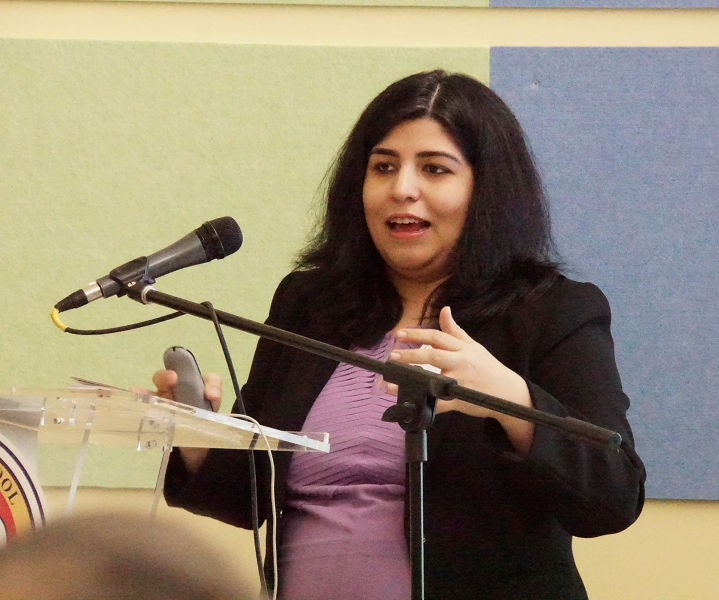 Soon after wards, we would be commencing another batch of workshops in Mississauga. Date is to be confirmed. Other workshops coming up are in Ottawa, Montreal, Saskatoon, and Edmonton. Canadian Institute celebrates Canada 150! 2017 marks a milestone year for Canadians as we celebrate Canadian history from Confederation to today (1867 – 2017), marking 150 glorious years! In celebration, there were amazing events taking place coast to coast! 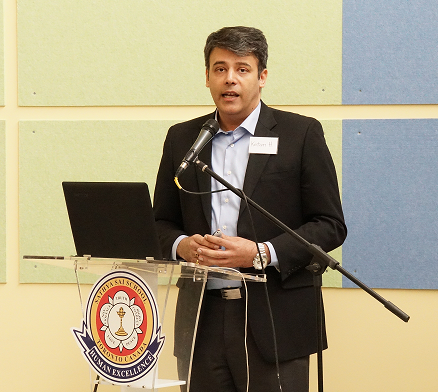 The Alumni, the Class of 2015, as Ambassadors of the Canadian Institute of Sathya Sai Education celebrated this event in the community by hosting a one-day event under the banner “Our Kids Matter”. Canada is a peaceful nation and we attribute this to our children (past, present and future) for the values they uphold and their commitment and contribution to nation building. In Canada, we truly engage and empower our children. Our kids truly matter! The day was filled with interactive workshops, fun-filled game shows, demonstrations of various art forms by local artistes (in poetry, music and dance), festive meals, birthday cake, streamers, balloons, loot bags and more. This event was well received by the children, their parents and the school administrators. A congratulatory message was also received from Mayor John Tory who sent his regrets for not being present due to conflicting engagements. Overall, it was indeed a memorable event on a momentous occasion! Happy Birthday Mama Canada! Thank You! We are proud to be Canadians! In celebration of Canada’s 150th Anniversary, the office of MP Lauzon created and launched calls for the SDSG Canada 150 Service Medal – a commemoration medal in recognition of residents in Stormont-Dundas-South Glengarry who have made outstanding contributions to their community. Nominations for this award were open to deserving individuals including educators, artists, athletes, scientists, coaches, entrepreneurs, emergency responders, community volunteers, activity organizers, and other every day heroes striving to make their community better. Usha and Mohinder Kapoor (seen above with Sydney Lingros, receipient of the CISSE Awards for Kindness and Values) )will receive their medal on August 12th, 2017 at a special ceremony in recognition of their dedicated teaching of Sathya Sai Education in Human Values (SSEHV) for 6 years as volunteers at Eammers Public School in Cornwall. On behalf of the Canadian Institute of Sathya Sai Education we offer our heartiest congratulations to them. 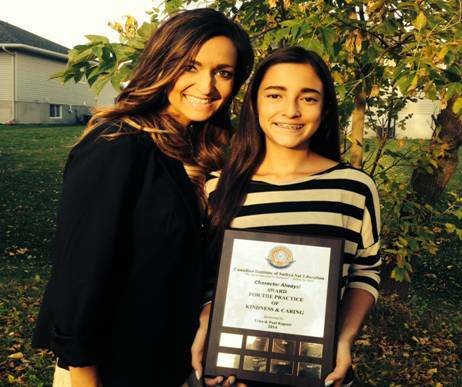 Sydney Legros of Eammer’s Corners Public School was this year’s award winner for demonstrating Kindness and Values. The award was presented by Usha and Mohinder Paul Kapoor, dedicated CISSE volunteers who taught SSEHV at the school for 6 years. 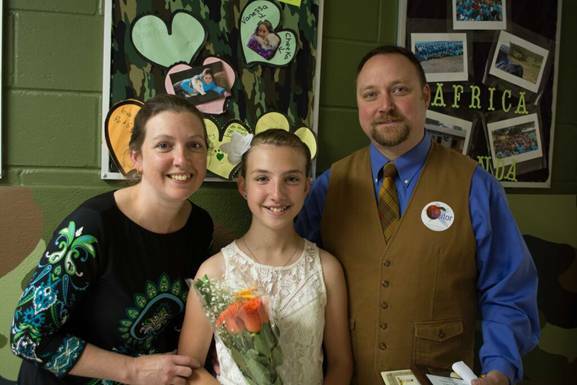 I regularly think of Sydney as a "mini-Mom" or "mini-assistant" in my classroom. She consistently makes positive choices that display respect and responsibility. She cares about her classmates and encourages others to make positive choices and to be the best they can be. She is empathetic to others and will advocate for someone who she believes needs support or assistance. Your peers are lucky to have you in their corner! Cyberbullying can happen to your child, in your own home, while you are at home? Technology in the world of teenagers today is a fundamental way of life. It has the ability to help children learn, create, share, and connect. However, there is also a darker side to technology that can harm as well. Cyber bullying in particular, is one threat to children across the country that is being battled in significant numbers. Acknowledging this cyber bullying pandemic, CISSE identified a need: to help parents support their children in dealing with cyber bullying situations both proactively and reactively, and to educate them on ways to better communicate with their children to build a safer online experience. 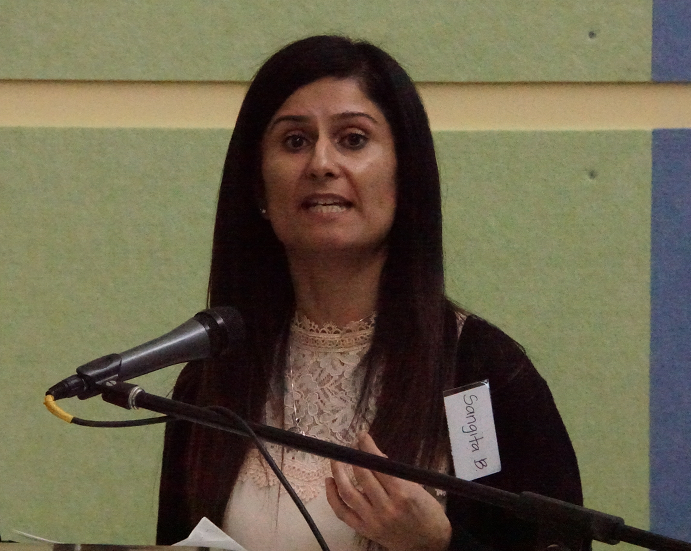 CISSE's inaugural Cyber Bullying Workshop was delivered on Dec 3, 2016 with 30 parents in attendance at the Sathya Sai School of Canada. The workshop carried parents through five modules: 1) social media and cyber bullying education, 2) cyber bullying triggers and psychological factors, 3) identifying non-verbal signs that your child is being cyber bullied or is the bully. Followed, by an in-depth talk by an expert speaker (doctor, psychiatrist) on the subject, sharing valuable insights and analysis with the group of attendees 4) learning effective communication strategies to build trust, and 5) reviewing proactive and reactive measures to combat cyber bullying and educating parents on the legislation and policies around cyber bullying. A toolkit including important information, FAQs and resources for future references was also distributed to all participants. To children, online life is real life. We've joined together to help parents explore and understand online life as kids know it. Let's keep kids safe online. Those in attendance were encouraged to become ambassadors, spreading this awareness and their new-found knowledge. Ultimately, the hope is that fewer kids experience the scarring effects of cyber bullying because parents will be able to take a more proactive stance and empathetic approach to helping their children stay safe online. 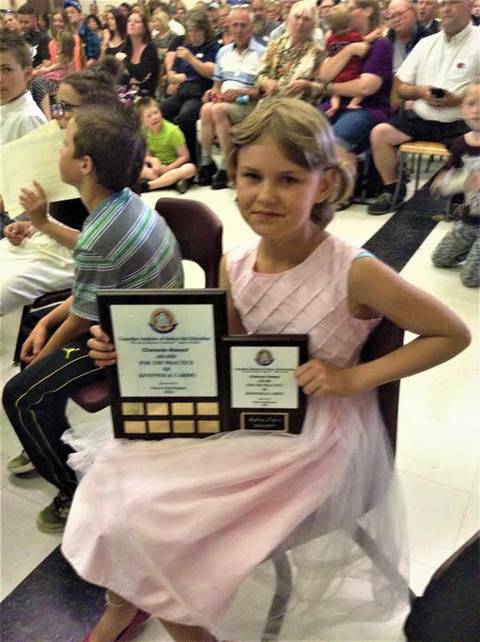 CISSE’s 2nd Annual Award for Character was presented to Raven Doherty, a grade 6 student at Eamers Corners Public School in Cornwall, Ontario under the jurisdiction of the Upper Canada District School Board. 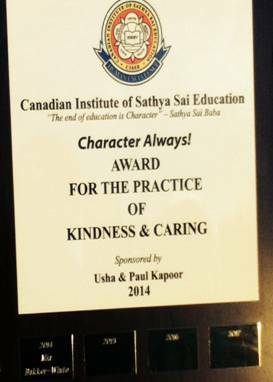 Principal Kennedy presented the award at the school’s award ceremonies in June 2015 for the Practice of Kindness and Caring sponsored by Mohinder Paul and Usha Kapoor. Usha and Paul Kapoor pioneered teaching SSEHV (Sathya Sai Education Human Values) at this school for over 7 years. Raven is a very special and unique young lady who is filled with kindness and caring toward everyone she meets. Raven is a wonderful role model. She demonstrates a strong sense of fairness and respect, and is well liked by her classmates and teachers. She is a good friend to all of her classmates and has the ability to see the good in others. Raven always shows empathy and compassion to those in need. She is well respected for her ability to be fair and truthful, especially during challenging situations. Raven has a gentleness and calmness about her that others seem to respond to. She is someone that has the ability to make a difference in the lives she touches! I feel very honoured and blessed to have been one of her teachers. 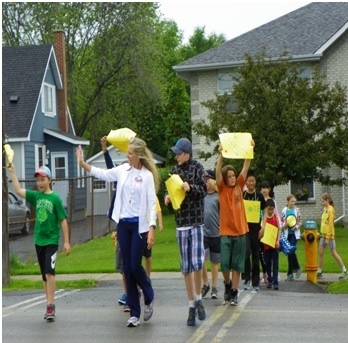 Cornwall Public school Walks again & City of Cornwall proclaims Nov 23, 2015 as Walk for Values Day! 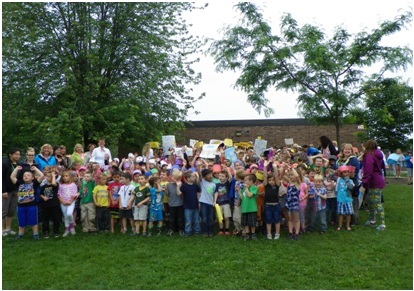 Eamers Corners Public School in Cornwall sent its students out into the streets for another Walk for Values event again in June as it has done for the past several years. First started by the Sathya Sai School of Canada this Walk is not a Fund-Raiser but a Walk dedicated to creating awareness in the community to practice human values and through individual transformation change communities to communities of character. The Kapoors (seen in action below) who taught SSEHV at this school as volunteers, introduced this Walk to the school community several years ago. Teacher Phillips is seen below leading her students in the Walk. After the Walk the whole student body gathered to hold up their slogans and pledges to practice a value. We applaud the City of Cornwall for proclaiming Nov 23rd, 2015 as Walks for Values Day. 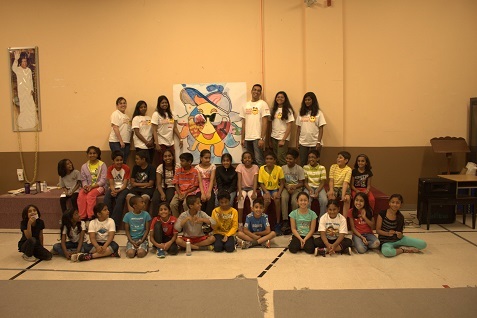 On Tuesday July 14th and Wednesday July 15th, 2015, the Canadian Institute of Sathya Sai Education (CISSE) conducted its 2nd Annual Camp Summer Stars at the Sathya Sai School of Canada, located in Toronto. 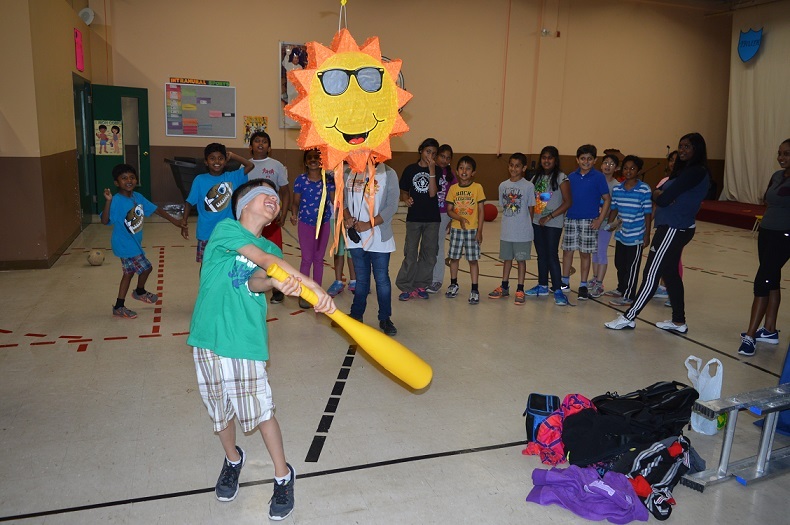 Camp Summer Stars is a value-based 2 day summer camp for children, integrating the values of respect, tolerance, team-work and compassion into popular and fun camp games and activities. The camp is open to students from the Sathya Sai School of Canada, as well as children from the wider community. This year's camp provided 16 boys and girls aged 7 to 11 a vibrant, energetic, and intellectually stimulating summer escape. Seven Sai Youth from Sai Centres across Regions 1 and 2 volunteered their time to facilitate the camp activities for both days as Camp Councilors. 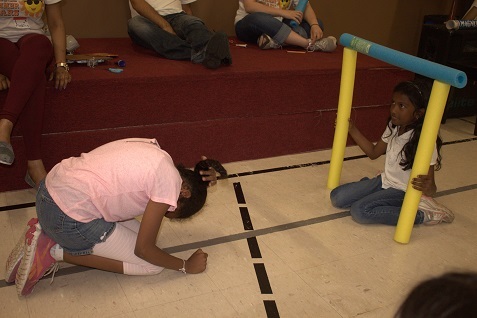 Games such as Spot the Change, 36 Squares, and a Memory Game put the campers' brilliant minds to work, teaching them the importance of concentration, discipline and teamwork. Sports such as soccer and volleyball, and running games like Octopus and Coco kept the campers physically active, dynamic and full of life, while teaching them cooperation, friendship, and teamwork skills. 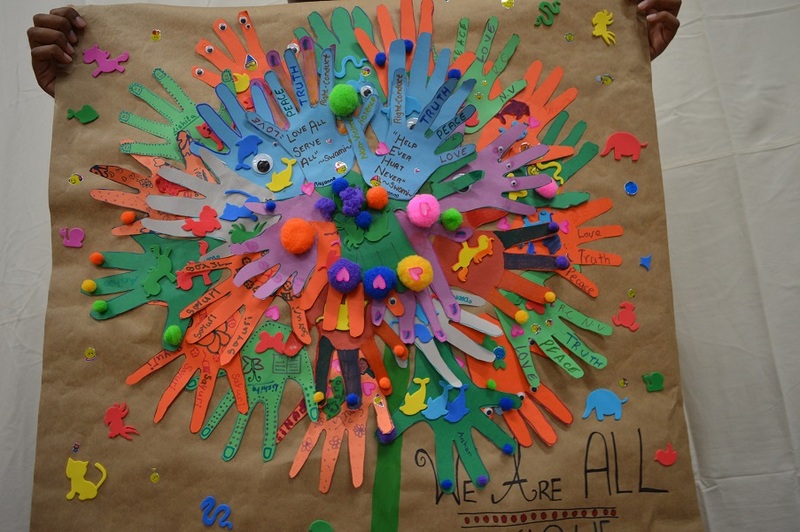 In all games the children demonstrated knowledge and familiarity with the 5 Human Values of Love, Peace, Truth, Right Conduct, and Non-Violence. They actively practiced inclusivity, while demonstrating perseverance, courage, consideration, trust, and intuition. This 2nd Annual Camp Summer Stars ended with wishes from children and parents alike for a longer camp next year with more children. With the Sathya Sai School's new and permanent building project set to be completed next year, the Camp Summer Stars team has set their sights on expanding to 50 children in 2016! With Swami's grace, this will undoubtedly become a reality. Toronto will be hosting its 13th Annual Walk for Values on Sunday May 31st, 2015 starting at 10:30 am at Nathan Phillips Square in downtown Toronto sponsored by Sathya Sai School. Registration is open on-line at walkforvalues.com and there is no charge. This Walk is not a Fund-Raiser but to create awareness in the community to practice human values and transform. This year marks a major milestone for the Walk for Values, as an official Ignite Partner of the Toronto 2015 Pan-Am Games this summer. The Walk includes music, marching bands and colorful floats, guest dignitaries, and people carrying banners and placards with messages about values. Around the square, there will be fun games, food, a PanAm Games booth, a CISSE booth, and a medical booth promoting healthy living and disease prevention. Come and walk shoulder to shoulder with fellow citizens who wish to bring positive change, one step at a time. The Walk starts and ends at Nathan Philips Square. Following the Walk, there will be a cultural program showcasing community talent, along with addresses by dignitaries to encourage everyone on their journey of transformation. We encourage you to please extend this invitation to your families, friends, co-workers and neighbours as we walk to make a positive impact in our community and raising the Character of the City. Please visit the Walk for Values website www.walkforvalues.com or the Facebook page facebook.com/walkforvalues for more information. Following Dynamic Parenting workshops are either in progress or soon to be commenced. Workshops are in progress and expected to complete in April 2015 (no workshop in long week-ends). 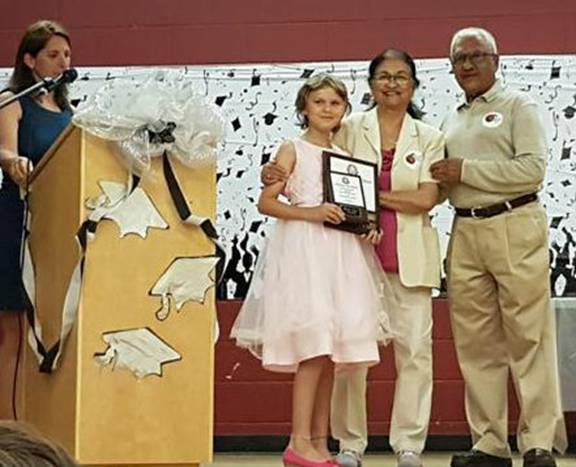 CISSE’s first Award for Character was presented to Mia Bakker-White, a grade 6 student at Eamers Corners Public School, a JK-Gr 6 school in Cornwall, Ontario under the jurisdiction of the Upper Canada District School Board. 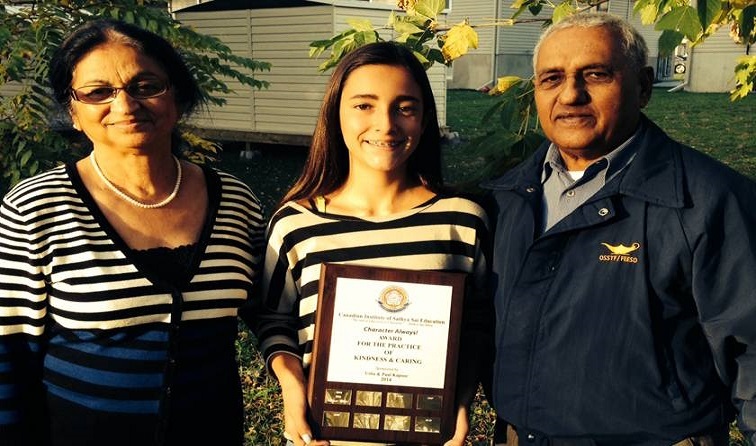 Mia received the Award at the school’s award ceremonies in June 2014 for the Practice of Kindness and Caring from Mohinder Paul and Usha Kapoor who sponsored the plaque pictured below. Pictured with Mia above, proud mother Ms. Chantal Bakker was elated with the news. Retired public school teachers, Usha and Mohinder Paul, provided volunteer service teaching Sathya Sai Education in Human Values at two schools in this school district for over seven years. In appreciation of their dedicated and selfless service in the cause of character education at Eamers Corners, Principal Kieran Kennedy kindly accepted the plaque in the name of the Canadian Institute of Sathya Sai Education. The Award will be presented annually. 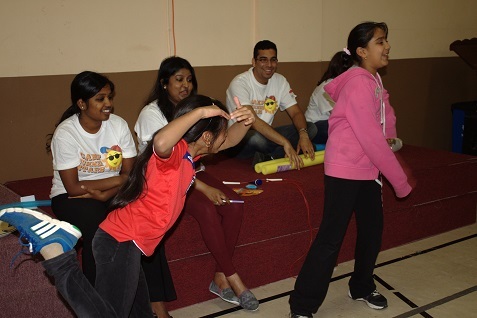 A highly successful community summer camp was arranged by the Canadian Institute of Sathya Sai Education for children aged 8-11 in Scarborough on July 15 and 16, 2014 at the Sathya Sai School located on Ellesmere Road, near Birchmount Road, Scarborough (Toronto). The purpose of the camp was to inculcate human values and team-building skills through fun activities for the 25 children who participated. According to one facilitator, “The 2 day program was neatly structured with the facilitators paying close attention to details. 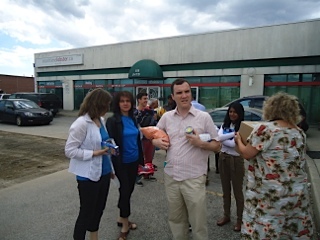 During the initial planning stages, many details had to be considered such as permission and consent forms, number of participants and volunteers, dietary restrictions and emergency case scenarios.” After much planning, flyers went out to churches, community centres and libraries in the neighbourhood. Registration was open to the public on a first-come, first-serve basis. The intense level of planning and debriefing sessions helped in the smooth flow of activities. 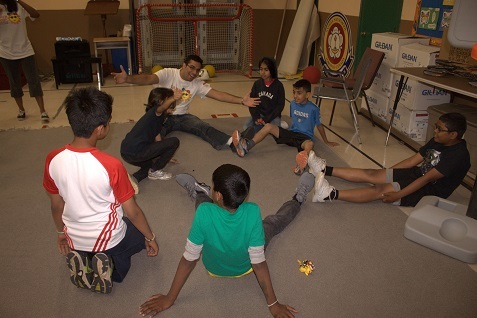 Five facilitators supervised and led a group of 5 students each through the planned activities and games. Each of the groups represented one of the 5 values (Truth, Love, Right Conduct, Peace and Non-violence) and worked closely to understand their own value and share their learning with others. Students took turns responding and interacting in a positive way. As the camp continued and the children got to know each other, their level of energy and enthusiasm rose, providing the facilitators with increased motivation. The facilitators were also encouraged by the request from parents and participants to continue the camp for more than 2 days adding they would be happy to return for a second year if the camp were to take place again. This Camp was yet another promising program that continues to motivate and inspire the team of facilitators to keep going. 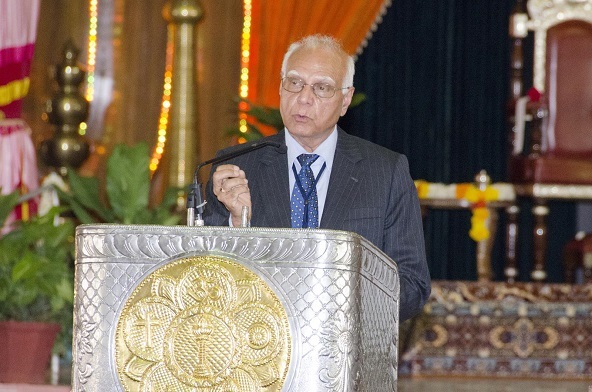 A three day conference on Sathya Sai Education was held at Puttaparthi in India from July 6 to 8, 2014. 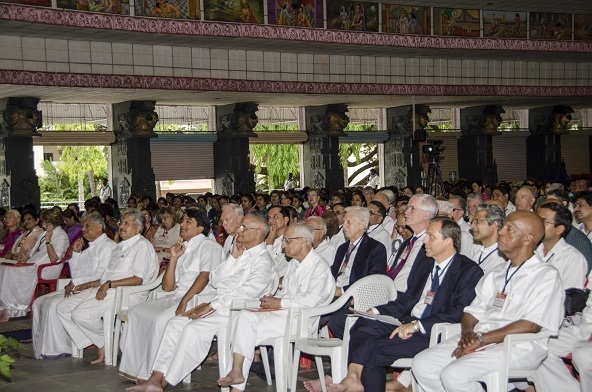 Eminent educators including two hundred and eighty-four teachers from over 55 countries came together to participate in this landmark conference organized by the Sathya Sai International Organisation. 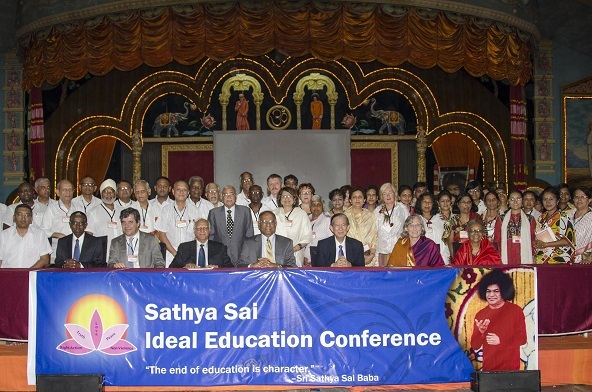 Representatives from 28 Institutes of Sathya Sai Education and 40 Sathya Sai Schools worldwide spent 3 days discussing Sathya Sai Baba’s teachings on EDUCARE and the Sathya Sai Education in Human Values programme. The Canadian delegation was led by T. R. Pillay, Director, CISSE. 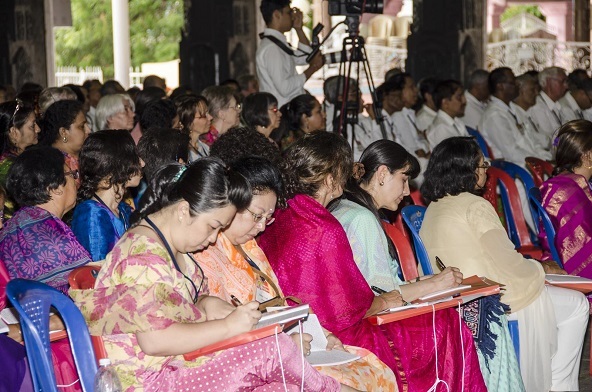 With a view to taking further Sathya Sai’s vision on Education, several areas were deliberated in the conference. 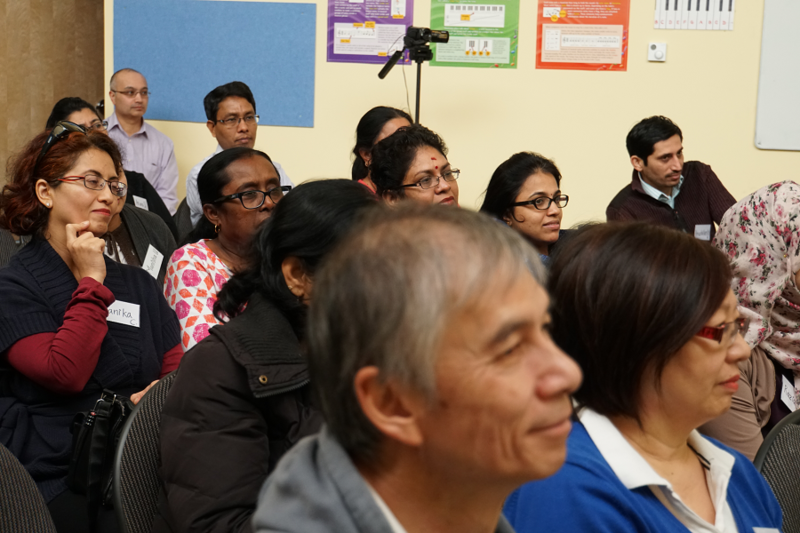 Talks and Workshops explored a variety of best practices for delivering Sathya Sai Education, including Training Programs, Quality Assurance, Accreditation, School and Community Partnerships, Ideal Parenting, and many other topics. Delegates agreed that whether they are in South Africa, Indonesia, Brazil, China, United States, Canada, Fiji, or Australia, all are focused on the same goal of promoting education based on the five human values of Truth, Right Conduct, Peace, Love, and Nonviolence. They are unified in their objective of promoting world peace and prosperity through love and the practice of the human values. Furthermore, the delegates affirmed that this vision of a better world can be achieved only by working cooperatively to share innovative ideas and transferable resources that can be adapted to their local cultures and conditions. All acknowledged that the key to sustainable success is based on their own dedication and practice of the five core human values. 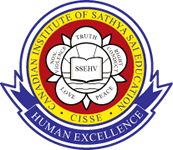 The Canadian Institute of Sathya Sai Education(CISSE) is encouraged by the entries received from schools across Canada in the first year of the Contest. Finalists were chosen on the basis of originality of design; clarity of theme message; emotional impact; and artistic merit. 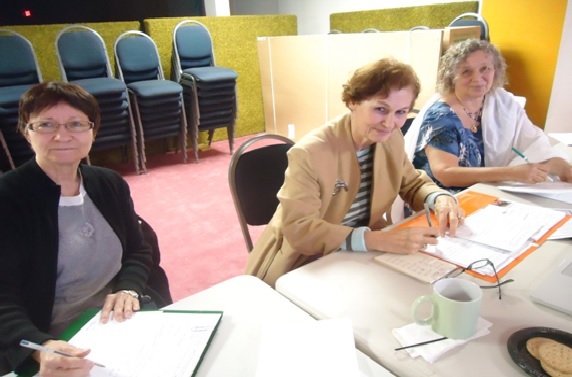 The three judges were (left to right) Justine Janus-Miquel , Gee Kucy and Christina Lukomsky(Ananda) from Edmonton. Artists with many years of experience, they were pleased with the entries received and confessed having a difficult time choosing the winners. Third Prize:  $100 for each of the four groups. Plus Certificates. The Canadian Institute of Sathya Sai Education (CISSE) conducted a National Dynamic Parenting Facilitators’ Training Workshop from May 17-19, 2014. The nineteen participants, including two from Calgary, one from Montreal, and one from Cambridge found the sessions highly interactive and stimulating. Participants were unanimous about the loving atmosphere and the excellent role modeling of values demonstrated by the team facilitators, which they would like to emulate. Throughout the workshops, participants felt highly energized and fully motivated to continue providing service to parents by becoming facilitators. As a follow-up, the Greater Toronto Area participants will be undertaking practical intensive training sessions during the months of June and August/September 2014. In support of character and values education in Canadian schools, the Canadian Institute of Sathya Sai Education (CISSE) is pleased to announce an Art Contest ArtfromtheHeart 2014 for students from Grades 1 -12 . The objective of the Contest is to nurture positive attitudes in students by providing stimulating themes for an imaginative and creative artistic expression of the goodness students see around them. In addition to the themes, the attractive prizes for all four groups and the motivational You Tube presentation http://youtu.be/ZvbvXFp4xAc is certain to encourage participation. We hope that Principals and teachers will make use of this National contest as an appealing enrichment activity. For more details, please see the poster and brochure. The contest begins in Feb and the deadline for all entries is April 30th, 2014. Sathya Sai School teachers gave up eight days of their holidays to take part in an activity-filled workshop on Sathya Sai Education in Human Values (SSEHV) organized by the Canadian Institute of Sathya Sai Education (CISSE) at the Sathya Sai School, Toronto from August 18-25th, 2012. Of the 22 who registered for Course 1 of the Diploma in SSEHV offered by the Institute, there was a sizeable number from the school: 5 teachers currently on staff; 3 new teachers; 2 school volunteers; plus the principal, Dr. Revathi Chennabathni. It was a positive experience for all. 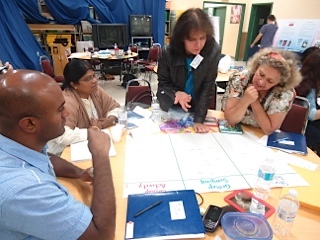 The older staff wished they had done this before and the non- teacher participants from Toronto, Edmonton and Montreal benefited from the lively and active participation of the teachers who shared their ideas on effective lesson planning for values and character education. 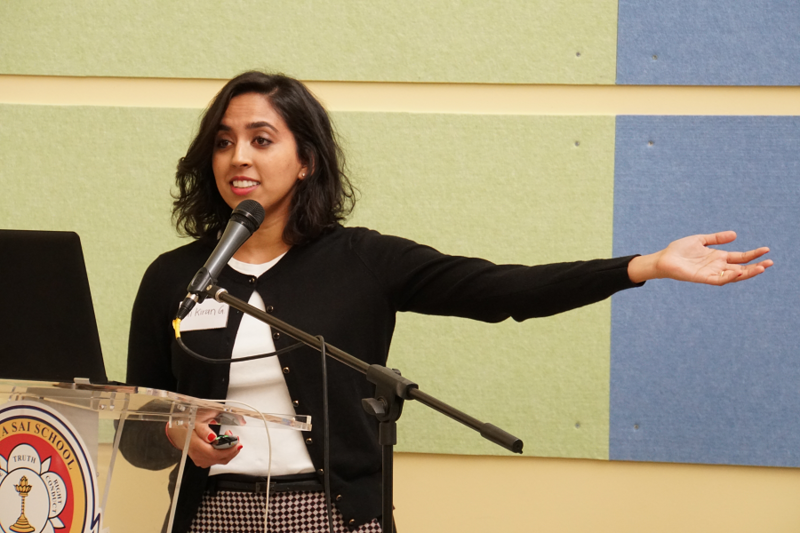 The presenters were Seema Poddar (Teacher, Sathya Sai School; Praveen Muruganandan (Coordinator, MBA Program, York University; Jaya Chawla (Educator, Montreal); Roopa Reddy (Lecturer, University of Waterloo); Rishima Bahadoorsingh (Public school teacher, Burnaby); Ahalya Ganeshan ( Teacher, Toronto District School Board); Gunjan Sahni (Teacher, Peel School Board); Teep Menon(Teacher, Montreal District School Board); and T.R. Pillay (Director, CISSE). The eight day course concluded with fun group presentations on model lessons on selected values and sub-values and on the key elements of SSEHV. Participants will receive certificates on submission of their Field Projects by February 2013. I want to congratulate the entire team of facilitators for delivering a superb 8 day Introductory Course. I must say I was a bit worried about being in a course for 8 full days. The facilitators made the 8 days go quickly making it fun with varied activities and thought provoking discussions. Through all this and the music and skits, I feel that we learnt the material well. Even the work- related conferences or consultants-delivered courses I have attended in the past, were not as flawlessly delivered as the 8 day CISSE workshop. My congratulations to the whole team. I am very proud to be part of a team of such high calibre. I plan to integrate the 5 teaching techniques in my weekly Sunday classes with high school students. Thank you once again. I look forward to moving ahead with this work. "The Course was certainly transformational and inspiring," concluded Edith Recht, School Secretary, who did the course last year, and acted as auditor and monitor for the Institute which is planning to offer the Course again next summer in Vancouver.